Speed up your recovery or prevent injury by understanding the best shoes for you. At Well Heeled Podiatry we focus on specific footwear education so we ensure our patients are wearing the right type of shoe for their foot type and the activity being undertaken. The podiatrist will make sure that your feet are well supported in appropriate footwear to prevent foot pain or foot conditions , resulting from poor fitting or inappropriate styles. Footwear plays a very important part in caring for your feet and preventing foot complications. It helps in protecting your feet from injury and trauma, shock absorption and supporting the arches of the feet. One of the reasons feet may get sore is due to poor fitting footwear and inadequate support. Shoes that do not fit properly often contribute to foot pathology, such as ingrown toenails, bunions, clawed toes, corns or callus, which reduces mobility. If these pressure areas are not treated by a podiatrist they may lead to ulcers and infections, especially in people with diabetes. People who have medical conditions such as arthritis or those who have wide or hard to fit feet often require extra depth, extra width shoes. Good fitting, supportive footwear also helps with our proprioception and balance, which can prevent sporting injuries in the young and significantly decrease the risk of falls in the elderly. If you need or wear customised foot orthotics, it is very important to wear supportive footwear as this will help maximise the benefits of the orthotics and hold your foot in place on the device for increased support. What is Supportive Footwear and What Do You Look For? Firm heel counter for ankle support. Low heel under 2 cm. Broad heels increase base of gait and thus improve stability. Beveled heels- increase surface areas and helps with balance and stability. Note: High heels increase forefoot pressures and increase risk of ankle sprains. They decrease range of motion and stride length, reducing forward momentum. Firm midsole (absorbs more shock and cushion better, by allowing the body’s natural mechanism of shock absorption i.e. knee flexion and foot pronation). Should not be able to wring out the shoe. Note: Many confuse very soft and flexible insoles with increase comfort as being a better choice, but it decreases stability and support, as it blocks sensory feedback regarding foot position. Exception: in certain circumstances (Fat pad atrophy/ rheumatoid arthritis) where the body’s natural shock absorption abilities are reduced and midsoles and insoles need to be softer thus extra padding will be required. Adjustable last (lace up/velcro/buckle) to provide ankle support and prevent friction, that may result in callus corns and blisters. The toe box must be wide, long and deep enough to allow adequate room for the toes. Note: Slip on and open back shoes provide no support, increase friction and the risk of falls. Synthetic uppers, increase risk of fungal infections and ingrown toenails due to increase sweat and moisture in the shoe. Flex at ball of foot only, allowing the toes to flex during walking. Slight rocker sole at the front of the shoe to reduce forefoot pressures and aid forward momentum if necessary. Textured pattern to allow a non-slip sole (needs to be suited to walking surface). 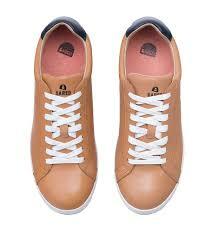 Rubber sole to facilitate in shock absorption and reduce pressure on the soles of the feet, while providing grip. No seams or obvious creases on inside of shoe that may rub, causing blisters and possible wounds. Exception: people with Parkinson’s disease or stroke that have a very shuffled gait will require a less textured sole, especially on carpeted areas. A trained footwear fitter or podiatrist must measure the length and with of your feet and fit shoes properly. This is to be done every time you purchase a new pair of shoes as sizes may vary between brands. At least a thumbs space from the LONGEST toe to the end of the shoe, this may be your 1st or 2nd toe. Loose footwear will cause instability and increase friction, as the foot will slide within the shoe. Similarly if shoes are too tight it will result in increased pressure and friction. 2pm in the afternoon as this is when you will have the most swelling in your feet. Walk around the store for 20 minutes in shoes on both feet, check for skin irritation or discomfort. Shoes should be long and wide enough for the BIGGER FOOT, the other shoe can be fitted with an insole to fill the extra space if required. Try shoes on with the sock you intend to wear with them. If you have Customised Foot Orthoses take them with you when fitting. Remove existing insole in shoe before placing your orthoses in them. Buy shoes that are activity appropriate. Make the shoe fit the foot not the foot fit the shoe. If no help is available remove the insole from the shoe and step on it barefoot to check the shoes width and length. Expensive shoes are not necessarily good fitting shoes. Never rely on “breaking in the shoe” to fit. Well Heeled Podiatry is highly experienced in shoe fitting and advice. We can show you lacing techniques to help your shoes fit better and feel more comfortable, for those “hard to fit feet”. 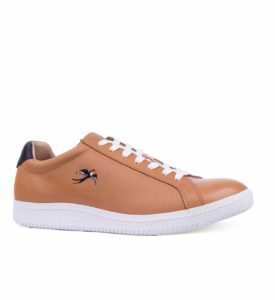 We can also give you advise on the right sports shoe for your foot type. Well Heeled Podiatry also has an alternative option to the well loved rubber thongs, stocking a range of Archie’s thongs with inbuilt arch supports.